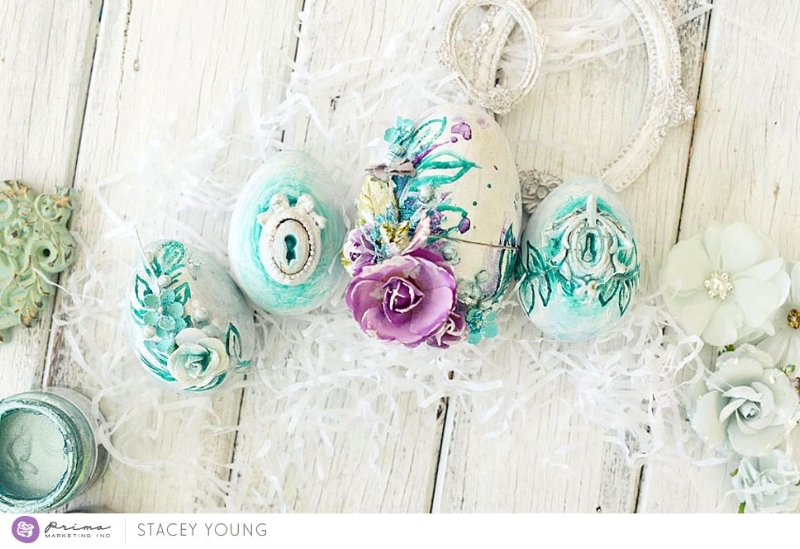 Decorating with eggs is such a fun, and creative, Easter tradition! 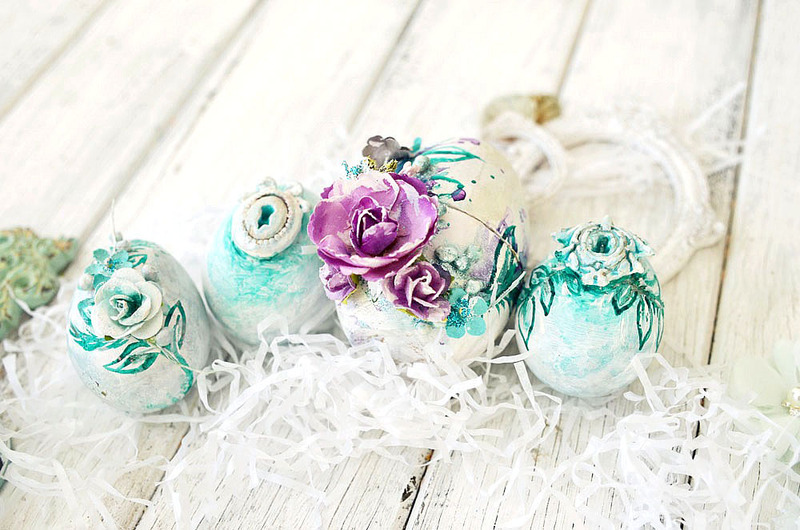 Today we are pushing those boundaries by coloring and decorating eggs in new ways! 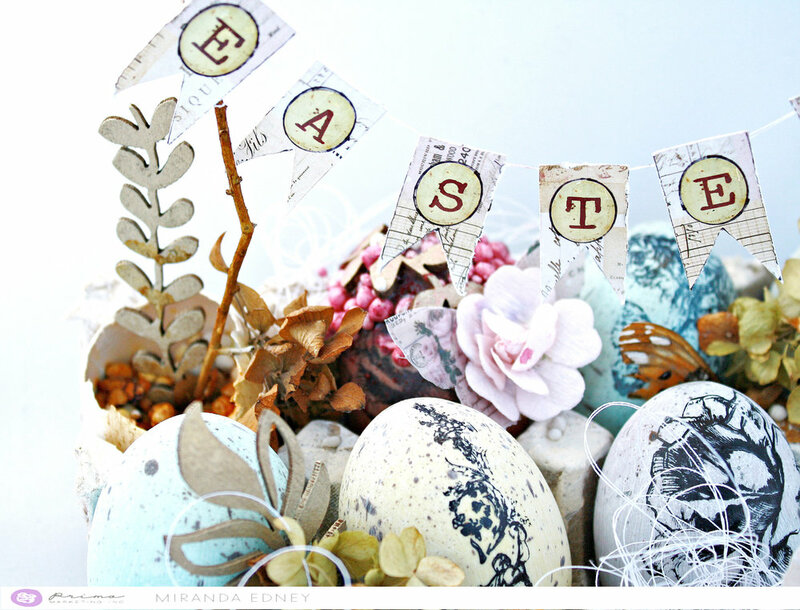 We hope you are challenged to try a few of these ideas at home! 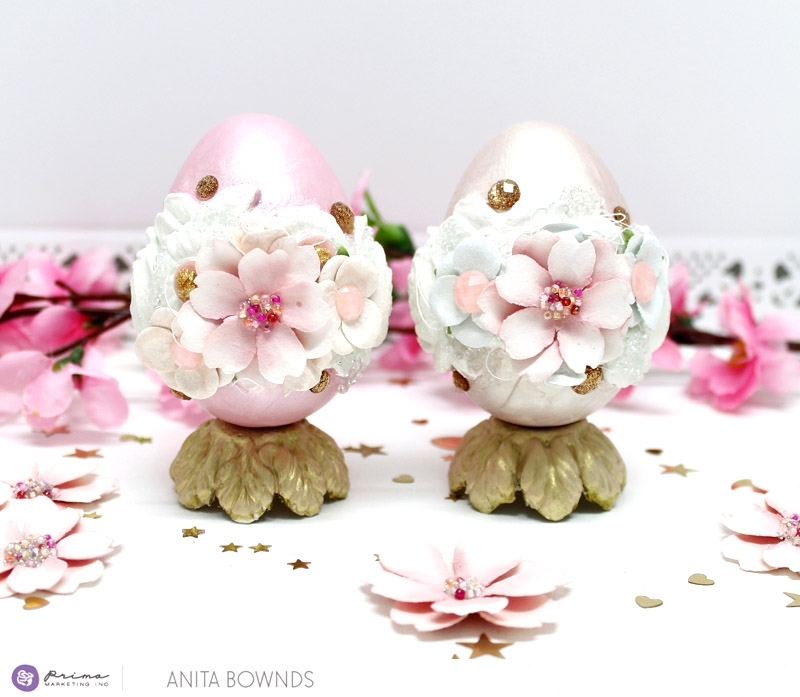 Anita colored her eggs with gesso, then added Metallique paints, Sparks, and Opal Magic paints for glorious shimmer and color! 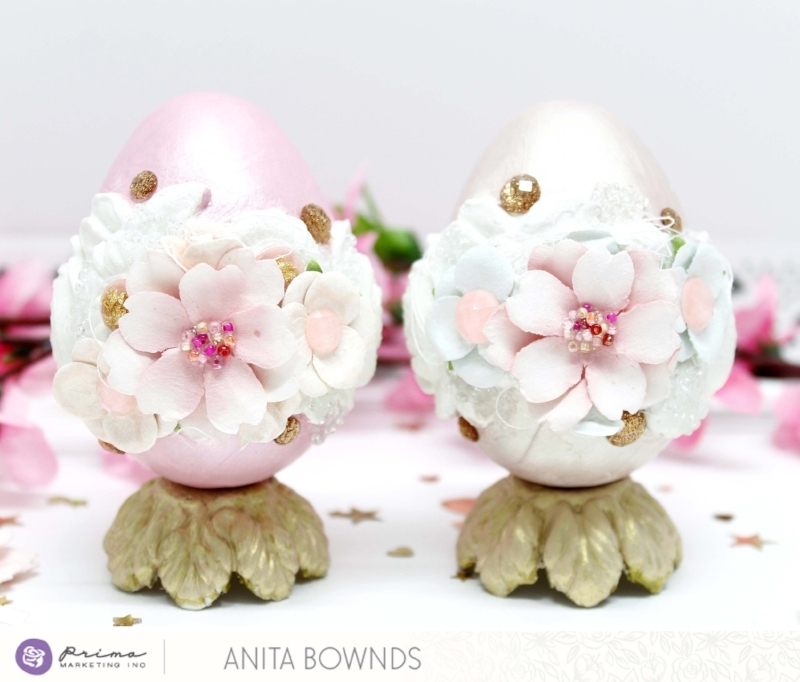 After the paint dried she added Love Story and Cherry Blossom flowers, Say It In Crystals and a touch of glitter! a r e y o u e g g c i t e d ? I cannot wait to pull out a few Prima products and start coloring now! How fun would they be with the new reinkers dripped over them, or with mould pieces wrapped around? 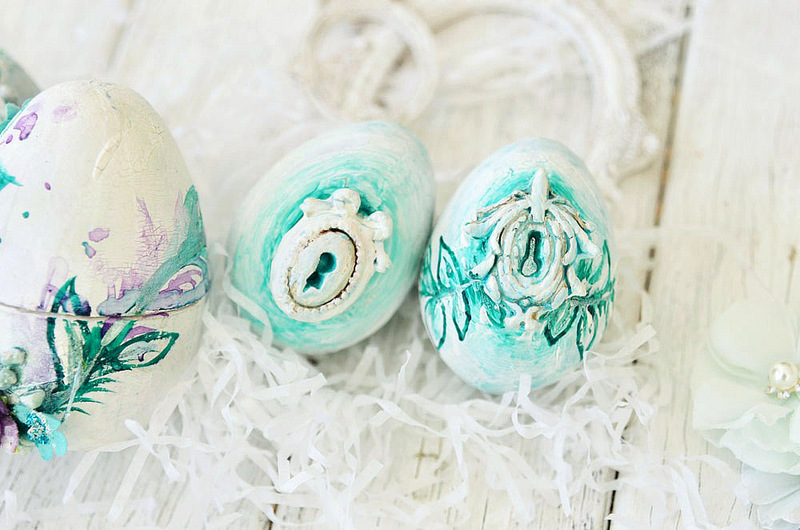 We'd love for you to share your decorated eggs with us on any of our social media below!